Rabbi David Lapin is the son of Rabbi A H Lapin, one of the foremost rabbinic leaders and dayannim in South Africa, and later in California, USA. He was raised in a rabbinic family (Reb Eliyah Lopian z''tzl was his grandfather's brother) and studied in Yeshivot in Gateshead and Israel. He was an intimate student of Reb Eliya Mishkovsky ztz"l and Reb Avrohom Gurwicz Rosh Yeshiva of Gateshead shelita. He also studied under his great-uncle Reb Elya Lopian ztz"l, Reb Chaim Shmuelewitz ztz"l, Rabbi Moshe Feinstein ztz"l, Rabbi Chaim Lifschitz shelita and maintains a close contact till today with Reb Meir Soleveitchik shelita with whom he regularly consults. He gained Smicha from Rabbi Unterman ztz"l, then Chief Rabbi of Israel; Rav Fink, Dayan of Haifa ztz"l, Rav Shlesinger and Rav Frankel of Tel Aviv and from Rabbi Leib Gurwicz ztz"l, Rosh Yeshiva of Gateshead. Rabbi Lapin was one of the three forces that spearheaded the baal teshuva movement in Johannesburg in the 1970s and 1980s (the others being Rabbi M Shakowitsky's Kollel and the Lubavitch movement, both with whom Rabbi Lapin worked closely, as he did with the community establishment). The movement was known for its vitality and its normality, and some of the credit for this is due to Rabbi Lapin's skills as a teacher, orator, and rabbi. He founded and led the Keter Torah community until his emigration to the USA in 1997. Keter Torah is still a vibrant centre of Torah learning and Jewish life now led by Rabbi Dayan Rappaport. Rabbi Lapin played a vital role in the broader community, too. He interacted at a senior level with the SA Government, at one time heading a delegation to the US Congress (on behalf of the government) to explore alternatives to economic sanctions, which he believed were crippling South Africa's poor without having the desired effect on its government. Ambassador P Koornhof told Rabbi Lapin that he mentioned to then-President DeKierk that Rabbi Lapin's visit was the second most important visit of a South African to Washington during his tenure as Ambassador (the first was the President's visit). Rabbi Lapin also served, until his emigration, as Vice-Chairman of the Southern African Rabbinical Association. He brought divergent kashrus and shechita authorities in Johannesburg under the unified banner of the Beth Din by founding the Mehadrin Commission and actively leading it, a feat that had eluded previous attempts of other rabbis for many years. Key to Rabbi Lapin's leadership success has been the high credibility he enjoys and the respect he commands across the religious spectrum from hareidi to non-orthodox and non-Jewish, too. This can be attributed to his scholarship, personal stature, charisma, character, interpersonal and communication skills, and the other intangibles of leadership. Rabbi Lapin's talent for leadership was well-recognized, even at a young age. In 1984/85, then-Chief Rabbi B M Casper and Mr Hans Sanger, President of the United Hebrew Congregation, approached Rabbi Lapin to succeed Rabbi Casper as Chief Rabbi. At the request of Rabbi Casper, Rabbi A Godfein, Rosh Yeshiva of Johannesburg's Yeshiva Gedolah implored Rabbi Lapin to accept this position. However, Rabbi Lapin decided against it because of his young age at the time and the needs of his young and growing family. Rabbi Lapin preferred not to earn his living from the teaching of Torah, but rather to remain intellectually and financially independent. He thus ran a business parallel to his rabbinic activities. This did not deter him from delivering up to twelve advanced shiurim and sermons each week and conducting hours of counselling every week, as well as his public appearances and activities. In 1989, he founded the South African Institute of Business Ethics (SAIBE), a body that included leading industrialists, professionals, academics, and business leaders across the religious and cultural spectrum of South Africa. His purpose was to raise the standard of business ethics in South Africa and to position the orthodox Jewish voice as an influential force in this field. In this capacity, Rabbi Lapin authored the Code of Ethics for Southern African Enterprises that was adopted by the first King Commission on Corporate Governance, the South African Chamber of Commerce, and the Southern Africa Institute of Directors. Lord Cadbury, the architect of the first UK Commission on Corporate Governance, commented that the code Rabbi Lapin drafted was the most innovative he had seen. SAIBE later developed into a consulting firm, Strategic Business Ethics, Inc., now known as Lapin Consulting International, Inc., of which Rabbi Lapin is the CEO. Rabbi Lapin and his family immigrated to the USA in 1997 from where he has built an international reputation, both in Torah and as an expert in Leadership. He recently published Lead By Greatness, a book that outlines his Torah-based methodology and philosophy of leadership. The book is receiving rave reviews on Amazon and elsewhere and has already been featured in countless papers, journals, and radio shows in the USA. Lapin International counts some of the largest and most well-known corporations among its clients, who attest to the growth they have achieved by applying Rabbi Lapin's methods of leadership and business strategy. Rabbi Lapin's teachings extend beyond the text. He never fails to offer rich insights and solutions to complex life issues, moving people into paradigms of thought they had never before considered. 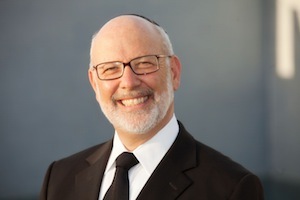 His reach extends beyond the walls of the Beit Midrash.Rabbi Lapin has successfully bridged the Torah and international business worlds, building sterling reputations in both. He is now evaluating opportunities to focus his vast spectrum of international experience on the world of Jewish leadership. Please contact us to have Rabbi Lapin speak to your organization. .